Nodle SMS Gateway: Get XLM into the hands of all! And a basic cryptocurrency wallet for feature phones and smartphones. People may not have smartphones, electricity, internet access, or bank accounts, but they will have access to a feature phone. 98% of humanity is covered by a 2G+ network. Inspired by mPesa in Africa, we decided to build our own SMS wallet for crypto. We chose Stellar because of its culture, openness, speed, and interoperability with other fiats (Anchors). The Nodle SMS wallet allows anyone to view balance, send, receive, and request Stellar, NODL Coins, or any Stellar assets from a public key or a phone number anywhere in the world. Ultimately we want to incorporate the Stellar Decentralized Exchange, enabling anyone to send money to and from anchors, and exchange virtually any currency they desire. We believe our simple wallet is the first step to enabling basically FREE international remittance, and provide banking to those who need it most. Now building a SMS wallet does not come without compromise. Based on studies we have done in India with PayTm in villages, and studying mPesa, we must make it as easy as possible for people to use. Nodle will hold private keys in a secure environment, as people without access to bank accounts will generally not be able to manage public key cryptography or keep a seed safe. We have gone through hundreds of iterations to find a simple solution where people can manage their keys through SMS. To further improve security, we are limiting balances to ~$100 USD (A small fortune in most developing countries). We will allow withdraw to any Stellar public key, and are actively working to find better ways, rightfully so, to give users control over their private keys. Today, mobile payments, and especially crypto on mobile has a terrible user experience. We want Nodle SMS to be so simple that even children can use it. Through this, we are bringing cryptocurrency to the roughest parts of Earth, and to those who need crypto most. We’ll be rolling out the Nodle SMS gateway with XLM, NODL Coins over, and Stellar Assets in the next few weeks, and look forward to you becoming a part of the future of crypto! Stay tuned! -Garrett and the Nodle Team. Hey great idea will it be open source? SergeKiema Yes, right now we are making sure everything is secure, then we will be open sourcing. The only way for this to impact the world is for it to be open source. We should have open tests in a few weeks, then code available after! Let us know if you want to test, (please don't post your number). We will share more info soon on how you can try it it out! 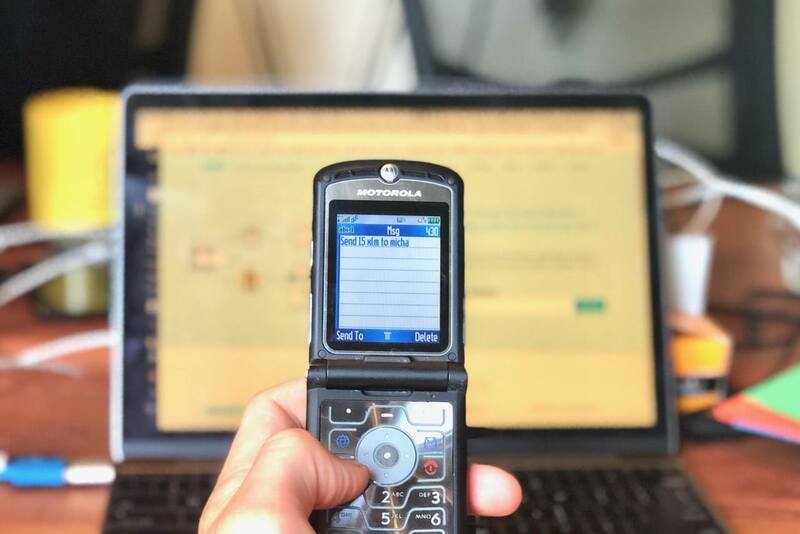 garrettekinsman Love to test... We are evaluating SMS solutions as we speak for our Basic Income remittance project in Ghana... http://givedirect.io Please email me at kevin@givedirect.io glad to be able to add this to our list as we already live on the Stellar Network! Cheers and ttys. Sounds great, looking forward to get more information. I love the idea and the concept. It will surely enable better cross border payments. But i really need an explanation as to how you will address SS7 vulnerabilities. Any telecom actor with a probing system on the signaling links will be able to read these keys. There is no encryption in ss7. AlAmin24 We don't share private keys over SMS. It is an exchange model, similar to blockchain.info wallet. We also limit the amount that can be stored. We realize SMS is not ideal for moving money, but believe the access it can provide to billions of people outweighs the risks. Mpesa is a great example of this. We have deployed LOVE coin on testnet, to spread the Stellar Love! You can't buy LOVE, and we are are only on US numbers for now. We would LOVE to hear your feedback and comments, we understand this is in the early phase. Today you can't withdraw or deposit, and it runs on an exchange model. Please share your comments and ideas! Register your US Number at Nodle.org and share your comments below!